Steel Spreader Beam Assemblies using End Caps and cut to length pipe is a great way to get you the Spreader Beam you need at the exact length you want. 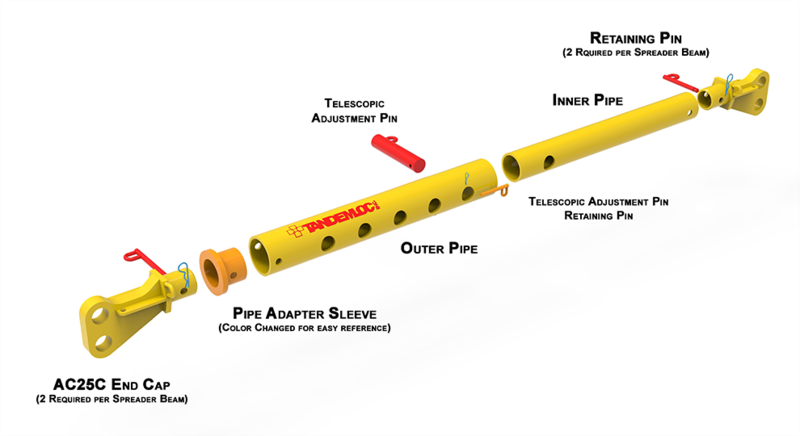 Now we have Telescopic Pipe Kits so you can make quick incremental field changes to your span without ever changing the pipe! Unlike modular systems, there are no bolts or nuts to deal with! Simply unpin, adjust to the length you need, re-pin and you are ready to lift! Click below to learn more.